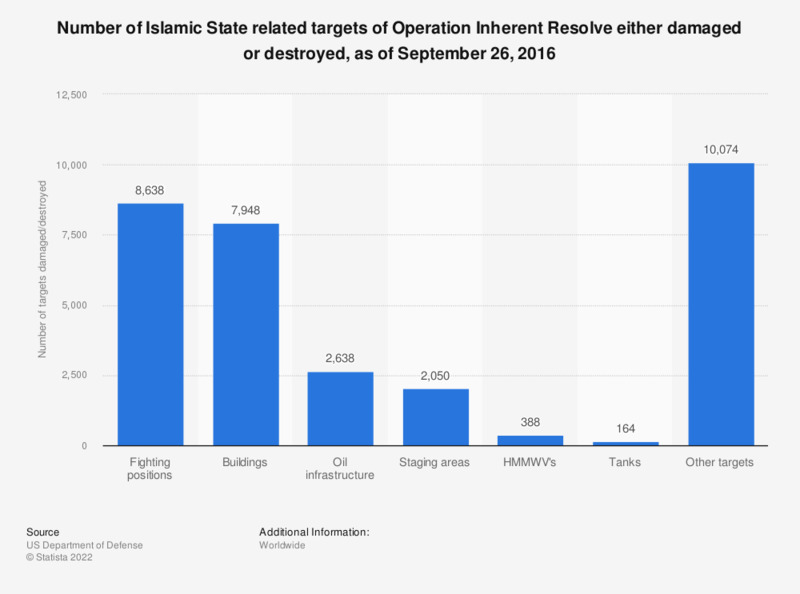 This statistic shows the number of targets either damaged or destroyed as part of Operation Inherent Resolve. Operation Inherent Resolve is the United States Defense force operation aimed at degrading and defeating Islamic State in Syria and Iraq. As of September 26th 2016, 2,638 oil infrastructure targets had been damaged or destroyed.